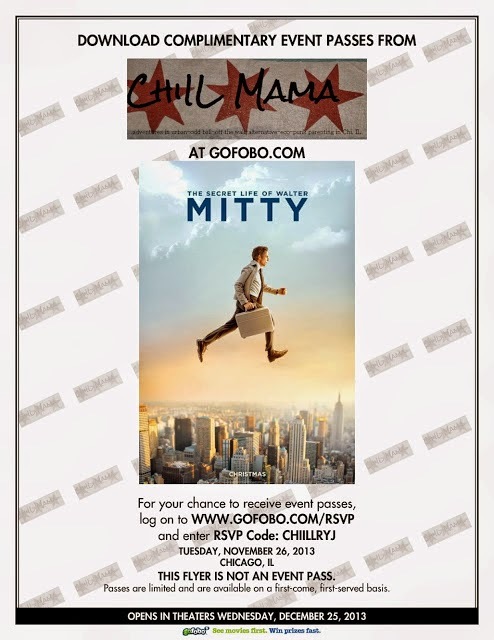 Maybe you were one of ChiIL Mama's lucky 40 readers to score a pair of advanced screening Gofobo passes to see THE SECRET LIFE OF WALTER MITTY when it was in the theatres. Now you can take it home with you. We adore this film and are so excited to own it now on Blu-ray, to watch time and time again. The travel shots are gorgeous and the message about the meaning of life is spot on. My tween and teen enjoy THE SECRET LIFE OF WALTER MITTY as well, and think it's hilarious, and it's a movie I can feel good about them watching. Get yours today. Disclosure: Thanks to Twentieth Century Fox Home Entertainment for sending us a Blu-ray to review. All opinions are our own. Dare to live your dreams! Get Ready To Let Life In. 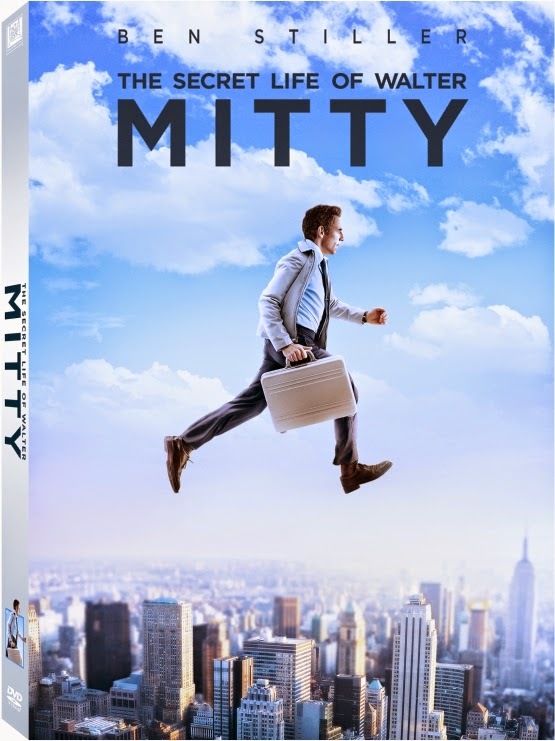 Twentieth Century Fox Home Entertainment will take movie-lovers on an uplifting adventure when THE SECRET LIFE OF WALTER MITTY debuts on Blu-rayTM and DVD April 15 and Digital HDTM April 1- perfectly timed for Easter gifting! Led by director Ben Stiller and an all-star cast, the film has been hailed by critics worldwide – THE SECRET LIFE OF WALTER MITTY is a must-own for every collection. With sweeping cinematography and stellar performances THE SECRET LIFE OF WALTER MITTY, tells the story of a timid magazine photo manager who lives life vicariously through daydreams and when a negative goes missing must embark on an incredible true-life adventure. 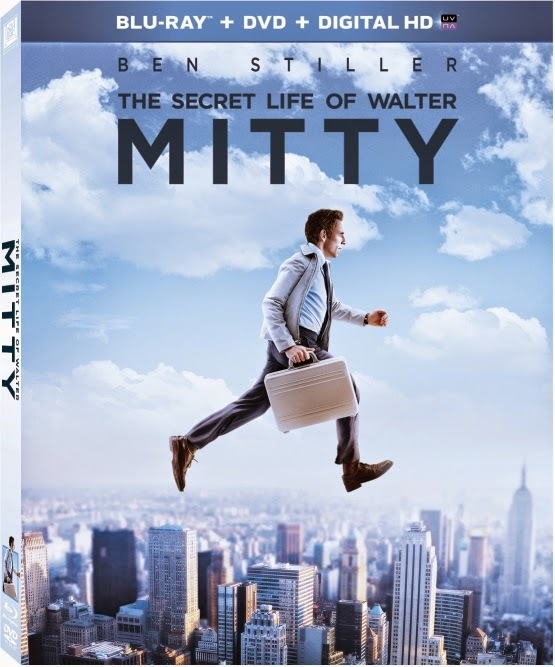 Those who purchase THE SECRET LIFE OF WALTER MITTY on Blu-rayTM or DVD can own a special gift with purchase redeemable until August 31, 2014: a Shutterfly® 20-page 8x8 hard cover photo book valued at $29.99. Consumers will be able to redeem their photo book by entering a unique promo code at checkout on Shutterfly.com. With stand-out performances from Ben Stiller (Night At The Museum, Meet The Parents) Golden Globe** and six-time Emmy Award*** nominated actress Kristen Wiig (Saturday Night Live, Bridesmaids, How To Train Your Dragon), Adam Scott (Step Brothers) and Shirley MacLaine (Wild Oats), the THE SECRET LIFE OF WALTER MITTY Blu-rayTM and DVD is loaded with more than an hour of behind-the-scenes special features, including deleted, extended and alternative scenes, featurettes that dive into filming in Iceland and Walter Mitty history, a gallery of exclusive reference photography, and music video "Stay Alive" by José González, and more. Want to see more Mitty magic? Click here for The Walter Mitty Movie Tumbler, to check out how the film is inspiring real people to explore, adventure, connect, and follow their dreams! * Taxes, shipping, and handling will apply. Offer subject to standard Shutterfly® terms and conditions, including one-time redemption per billing address. Disclosure: Once again, thanks to Twentieth Century Fox Home Entertainment for sending us a Blu-ray to review. All opinions are our own. Labels: @FoxHomeEnt, Blu-Ray, Digital HD, DVD, freebie, new releases, Shutterfly, The Secret Life of Walter Mitty, THE SECRET LIFE OF WALTER MITTY Movie, Twentieth Century Fox Home Entertainment.